Most women experience their fair share of aches and pains during pregnancy. That said, there's no reason to run straight to the medicine cabinet. There are many natural, safe and eco-friendly remedies for issues such as heartburn, dry skin, an achy back, morning sickness, headaches and more. Keep in mind that no one remedy works for all women. Also, use any remedy carefully. Natural doesn't always mean safe for everyone. Before using a pregnancy remedy, always run it by your midwife or doctor. Ginger is a complementary medicine that can work wonders for relieving morning sickness symptoms. In fact, one study shows that pregnant women who use ginger may experience a 53% reduction in nausea, vomiting and other symptoms of morning sickness. Choose fresh organic ginger over processed ginger (such as the type found in cookies or ginger ale), as fresh offers offers more healing properties. Nibble on small slivers or add some grated ginger to your veggie stir-fry. To make homemade fresh organic ginger tea, peel a walnut-sized chunk of fresh ginger and slice it thin. Steep the ginger in boiling water for 15 minutes, then strain your tea and pour it into a cup. Add a little honey or a spritz of citrus fruit if you like. 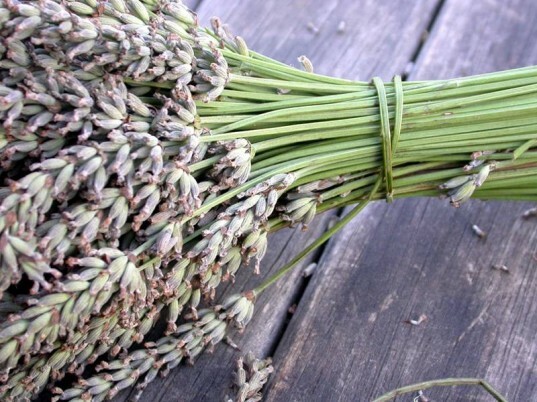 See other natural remedies for morning sickness. Many women get headaches during pregnancy due to changing hormones, constipation or tension. Resting with an ice pack on your neck can be soothing or try the organic essential oil treatment below. A few drops of a carrier oil, for example, organic apricot oil or organic almond oil. Three drops organic pure lavender essential oil. One drop of organic pure peppermint essential oil. Mix the above oils together and massage the mixture along your temples and along the base of your skull, at your hair line. If rest, ice packs and essential oils don’t work, speak with your midwife or doctor about a safe over-the-counter treatment. Before you use essential oils during pregnancy, or at any other time, be sure to read Organic Essential Oil Safety & Buying Guide and our Expert Guide to Aromatherapy Use During Pregnancy. If you’re looking for a full line of certified organic essential oils visit Mountain Rose Herbs or Aura Cacia. Toxins, changing hormones and stretching can wreak havoc on your pregnancy skin. First of all, avoid bad stuff that can harm your skin, such as chemicals in toxic cleaning products and body care. Choose green cleaning products and natural body care products instead. Secondly, if your skin is already feeling icky and dry, try an easy DIY organic homemade sugar scrub. If you’re not up to making your own scrub, you can use purchased natural sugar or salt scrub, then sooth on some Natural Stretch Oil. Massage is one of those soothing treatments that helps relieve all sorts of aches and pains as opposed to just one problem. Pregnancy massage has been shown to reduce leg and back muscle aches, cramps, and pains; naturally relieve some headaches; increase circulation and help reduce varicose veins and swelling; and more. Of course, massage is also a great way to relax during pregnancy. Be aware that certain pressure points can trigger early labor – so during pregnancy you should only receive a massage from a trained professional. Visit the American Massage Therapy Association website to find a prenatal massage specialist. Heartburn during pregnancy can be surprisingly painful, but luckily there are many natural ways to deal with it. Making sure you drink plenty of water is important, both to ward off pregnancy bloat and also heartburn. Avoiding spicy foods can help ease heartburn, as can the simple act of gum chewing. If you’re looking for a natural gum choice, go with Glee Gum. Glee Gum is one of the most natural and eco-friendly gum choices in town. Glee is free from artificial colors, flavors, sweeteners (no aspartame) and preservatives, plus it’s now available in bulk, which helps cut down on excess packaging. Currently comes in tangerine, peppermint, cinnamon, spearmint, bubblegum and triple berry. Exercise during pregnancy is very healthy – I’m hoping that wasn’t a huge shock to anyone. Staying active during pregnancy can also help you avoid many of the most common pregnancy aches and pains. A study featured in the Journal of the American Academy of Orthopaedic Surgeons (JAAOS) showed that exercise during pregnancy can strengthen and improve overall musculoskeletal and physiologic health as well as reduce pregnancy related aches and pains. The study points out that aerobics, impact and non impact activities, resistance training and swimming are all healthy exercises for pregnant women, plus all these activities can ease back pain, lower blood pressure, reduce pregnancy swelling, and improve post-partum mood, including sadness. You don’t need a bunch of equipment either. Simply getting out for a nature hike or going for a swim are healthy choices and easy ways to avoid pregnancy aches and pains. Learn more about safe exercise while pregnant. Ginger is a complementary medicine that can work wonders for relieving morning sickness symptoms. In fact, one study shows that pregnant women who use ginger may experience a 53% reduction in nausea, vomiting and other symptoms of morning sickness. Choose fresh organic ginger over processed ginger (such as the type found in cookies or ginger ale), as fresh offers offers more healing properties. Nibble on small slivers or add some grated ginger to your veggie stir-fry. To make homemade fresh organic ginger tea, peel a walnut-sized chunk of fresh ginger and slice it thin. Steep the ginger in boiling water for 15 minutes, then strain your tea and pour it into a cup. Add a little honey or a spritz of citrus fruit if you like. 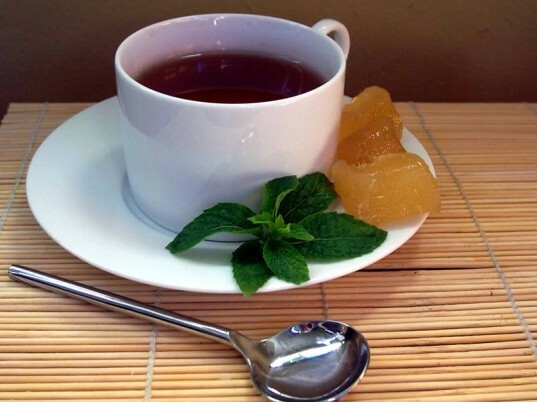 See other natural remedies for morning sickness. Many women get headaches during pregnancy due to changing hormones, constipation or tension. Resting with an ice pack on your neck can be soothing or try the organic essential oil treatment below. Gather the following: A few drops of a carrier oil, for example, organic apricot oil or organic almond oil. Three drops organic pure lavender essential oil. One drop of organic pure peppermint essential oil. Mix the above oils together and massage the mixture along your temples and along the base of your skull, at your hair line. If rest, ice packs and essential oils don't work, speak with your midwife or doctor about a safe over-the-counter treatment. 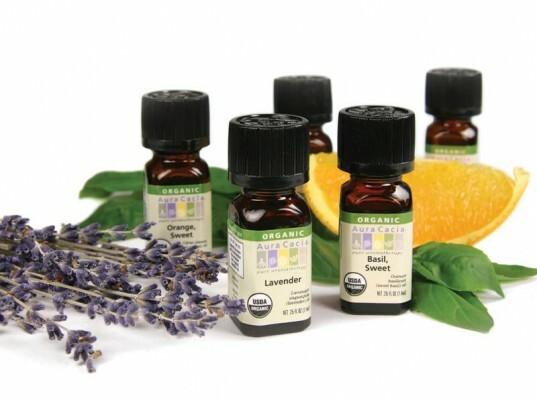 Before you use essential oils during pregnancy, or at any other time, be sure to read Organic Essential Oil Safety & Buying Guide and our Expert Guide to Aromatherapy Use During Pregnancy. If you're looking for a full line of certified organic essential oils visit Mountain Rose Herbs or Aura Cacia. Toxins, changing hormones and stretching can wreak havoc on your pregnancy skin. First of all, avoid bad stuff that can harm your skin, such as chemicals in toxic cleaning products and body care. Choose green cleaning products and natural body care products instead. Secondly, if your skin is already feeling icky and dry, try an easy DIY organic homemade sugar scrub. If you're not up to making your own scrub, you can use purchased natural sugar or salt scrub, then sooth on some Natural Stretch Oil. Massage is one of those soothing treatments that helps relieve all sorts of aches and pains as opposed to just one problem. Pregnancy massage has been shown to reduce leg and back muscle aches, cramps, and pains; naturally relieve some headaches; increase circulation and help reduce varicose veins and swelling; and more. Of course, massage is also a great way to relax during pregnancy. Be aware that certain pressure points can trigger early labor - so during pregnancy you should only receive a massage from a trained professional. Visit the American Massage Therapy Association website to find a prenatal massage specialist. Heartburn during pregnancy can be surprisingly painful, but luckily there are many natural ways to deal with it. Making sure you drink plenty of water is important, both to ward off pregnancy bloat and also heartburn. Avoiding spicy foods can help ease heartburn, as can the simple act of gum chewing. If you're looking for a natural gum choice, go with Glee Gum. 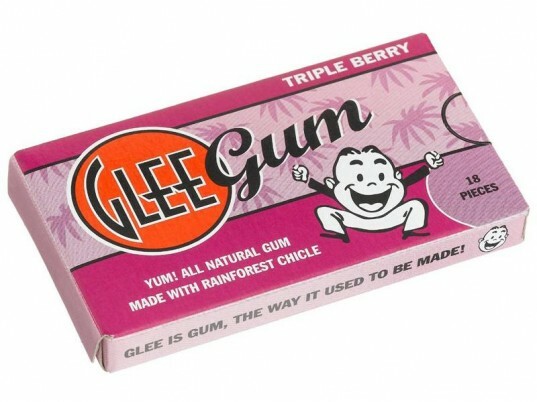 Glee Gum is one of the most natural and eco-friendly gum choices in town. Glee is free from artificial colors, flavors, sweeteners (no aspartame) and preservatives, plus it's now available in bulk, which helps cut down on excess packaging. Currently comes in tangerine, peppermint, cinnamon, spearmint, bubblegum and triple berry. Exercise during pregnancy is very healthy - I'm hoping that wasn't a huge shock to anyone. Staying active during pregnancy can also help you avoid many of the most common pregnancy aches and pains. A study featured in the Journal of the American Academy of Orthopaedic Surgeons (JAAOS) showed that exercise during pregnancy can strengthen and improve overall musculoskeletal and physiologic health as well as reduce pregnancy related aches and pains. The study points out that aerobics, impact and non impact activities, resistance training and swimming are all healthy exercises for pregnant women, plus all these activities can ease back pain, lower blood pressure, reduce pregnancy swelling, and improve post-partum mood, including sadness. You don't need a bunch of equipment either. Simply getting out for a nature hike or going for a swim are healthy choices and easy ways to avoid pregnancy aches and pains. 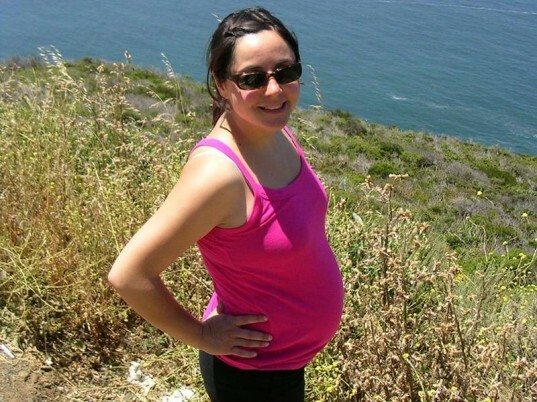 Learn more about safe exercise while pregnant.